Disneyland is known as "The Happiest Place on Earth" and for many people that slogan is all too true. 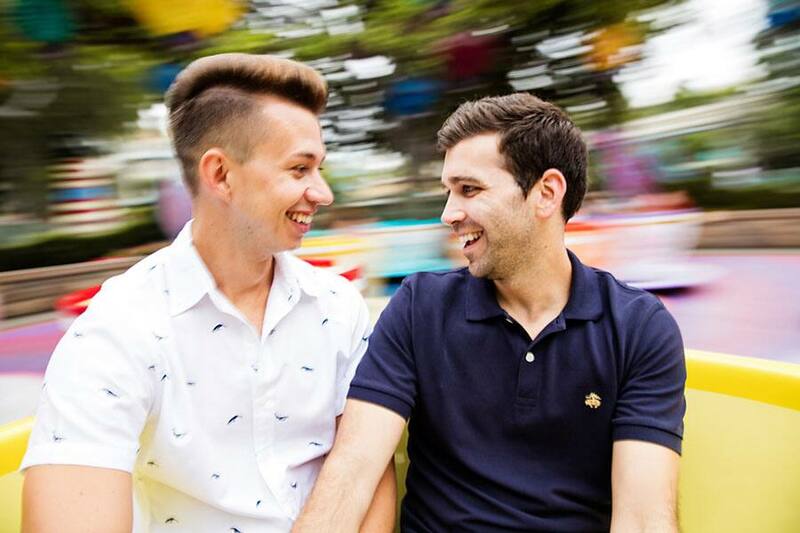 Whether they grew up visiting this California park or fell in love with it as an adult, Disneyland holds a special place in people's lives and in their memories. For many couples, it was the place of their first date or their first "I love you". Therefore, it is often in consideration when planning the dream proposal. 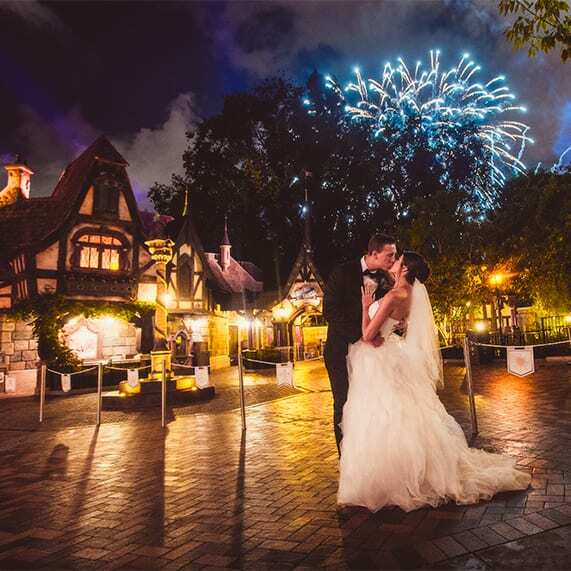 With two beautiful parks, the Downtown Disney area, and three gorgeous resorts, there are plenty of options to make sure it's an unforgettable moment. Here are some of our favorites. 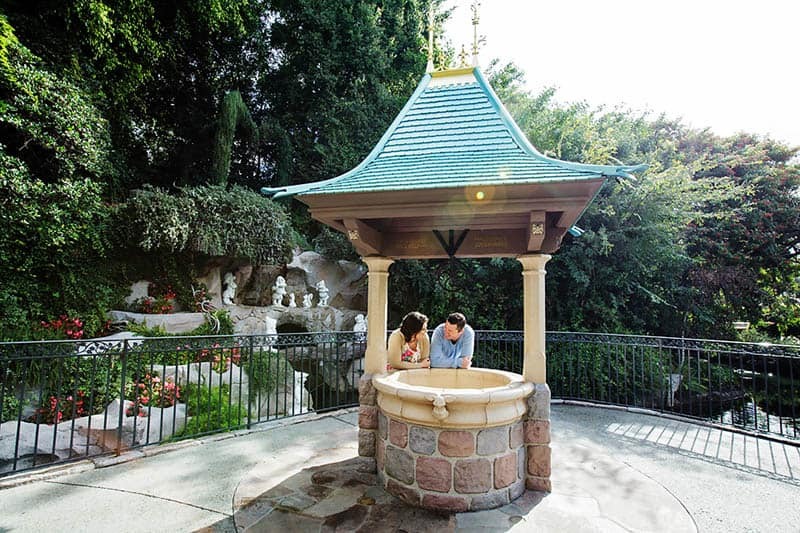 Sleeping Beauty Castle: This fairy tale castle is a classic for proposals. You can't go wrong here if you are searching for something timeless and unforgettable. 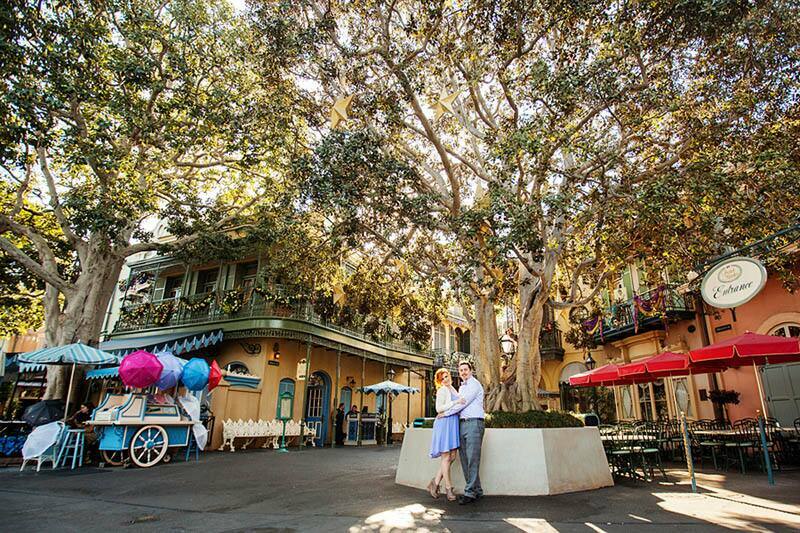 This landmark location is hard to miss and is often considered the defining icon for Disneyland. You will likely have a large audience and might struggle to get some alone time, but sometimes a grand gesture is the right choice. Fireworks: With the booming sounds, flashing lights, and dazzling colors above, this is a proposal that won't easily be forgotten. The all immersive spectacular brings all the fanfare and excitement that you could hope for during this moment. The spot you choose is entirely up to you. Some of the best viewing is generally on Main Street USA, in front of the castle, or back in Fantasyland, but you can also find quiet spots around the park since most people will be gathered in the prime areas. 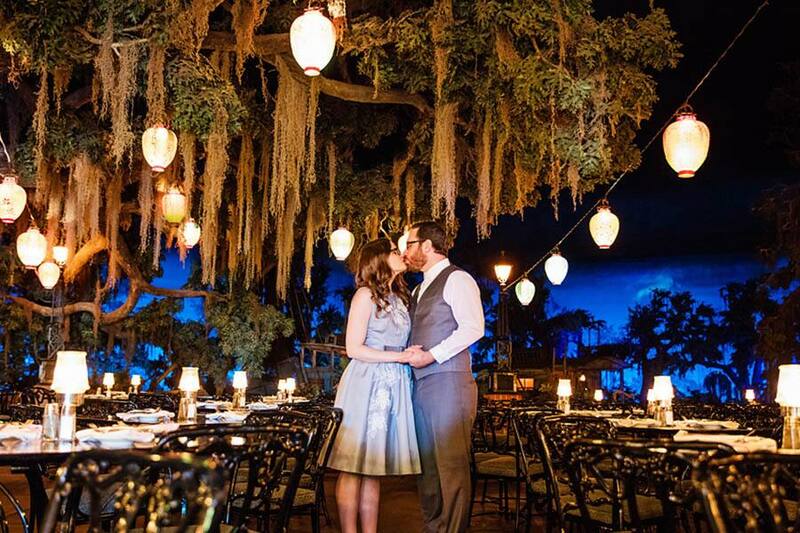 Blue Bayou Restaurant: If you are looking for romantic ambiance and impressive theming, look no further than this Louisiana-inspired restaurant. Located inside the Pirates of the Caribbean attraction in New Orleans Square, you can dine in perpetual twilight as the boats sail on by. Colorful lanterns hang above the tables, crickets chirp, and fireflies twinkle around you. The Cajun and Creole cuisine features all the big flavors and delicious dishes of the area and serves as a wonderful opener to the upcoming finale. 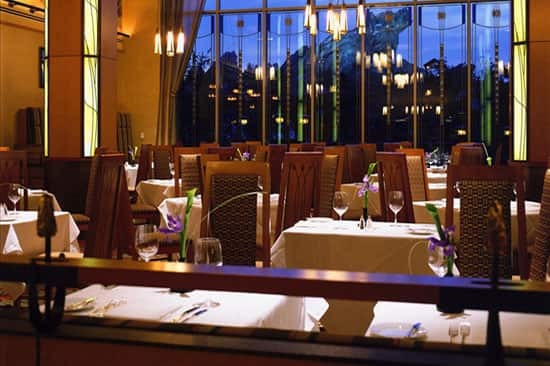 Napa Rose: This signature dining location at Disney's Grand Californian Hotel & Spa is the perfect choice if you are searching for an upscale experience. The entire resort is a feat in craftsman style architecture, which is absolutely stunning, and the theme continues into this restaurant. The California, farm-to-table menu is frequently changing to match the seasons. 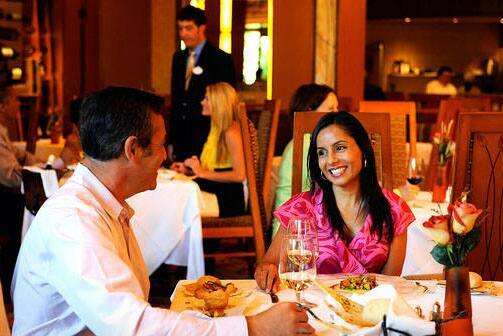 There are expert sommeliers on staff to help you pair their large selection of wines with all of their innovative fare. It is a refined setting for an intimate proposal. Carthay Circle Restaurant: Go back to the Golden Age of Hollywood at this restaurant in Disney's California Adventure. 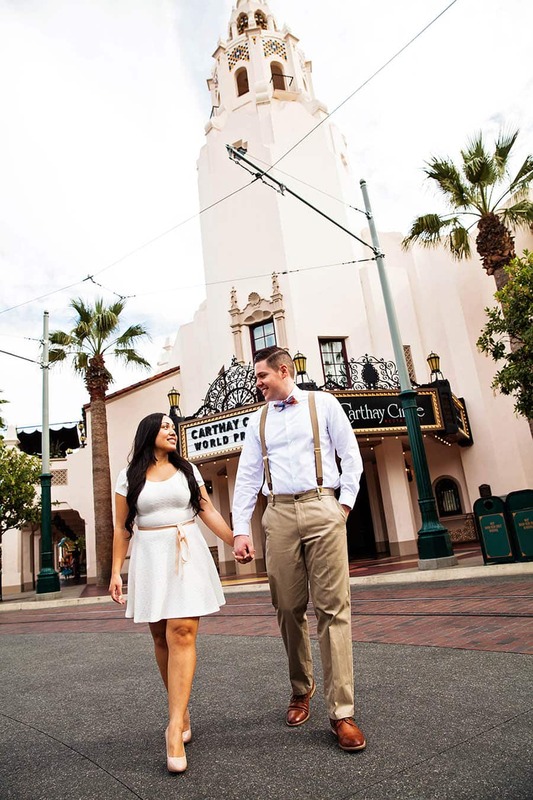 It is a replica of the original Carthay Circle Theatre where Walt Disney premiered Snow White and the Seven Dwarfs in 1937. The romantic retro backdrop provides a memorable setting for any proposal. The décor brings in all the glitz and glamour of the era, while the food represents all the best that Southern California has to offer today. 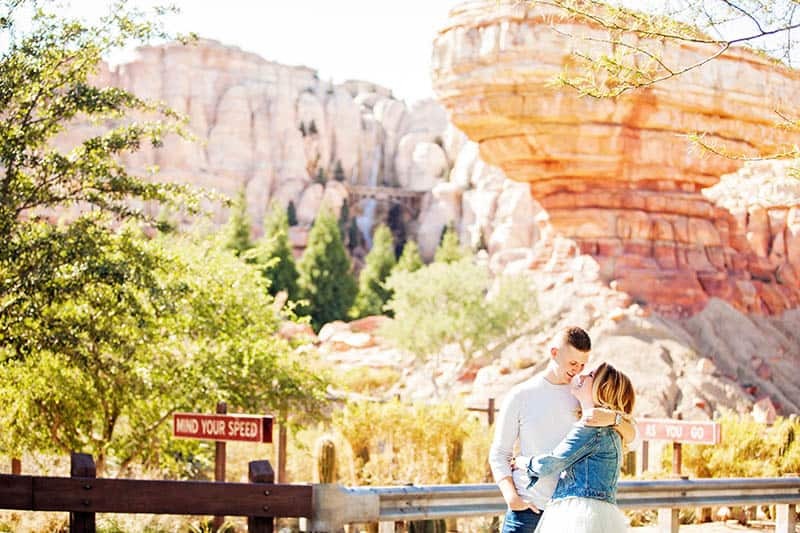 For all the thrill-seeking couples, a proposal on a favorite attraction at either park could be the ultimate experience. Maybe you wait for the on-ride photo to capture the moment, or you wait for your favorite part of the ride. For some, the high-speed Space Mountain or Splash Mountain might be their dream, while other might prefer a leisurely ride on the Jungle Cruise or the Disneyland Railroad. 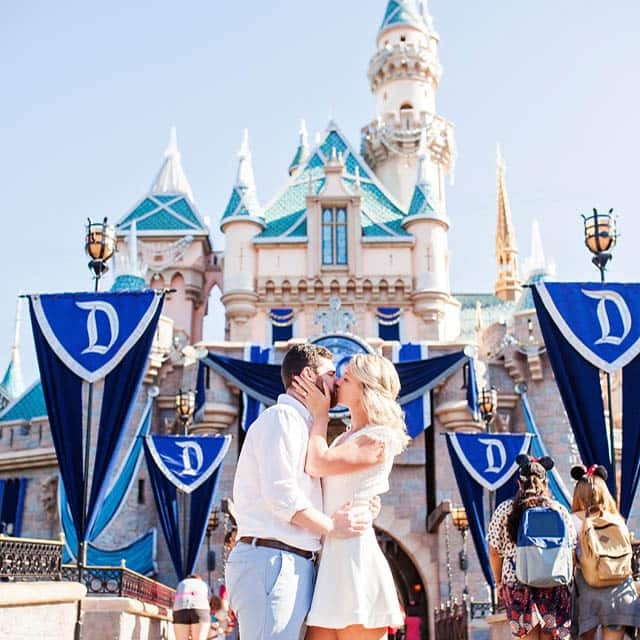 There are endless options and ways to pull off a proposal on one of the many attractions. There are so many amazing and romantic locations that this post would never end if I tried to write them all. I think the most important advice for choosing a proposal spot is to choose somewhere that is meaningful or special to you as a couple. Perhaps that place is on the Disneyland monorail, or it's along Paradise Pier. Maybe your special memories are at the Disneyland Hotel, maybe at the Penny Arcade, or at the fort on Tom Sawyer's Island. Whether it's a restaurant, an attraction, a hotel, or just a simple bench, any place you choose will have all the magic and pixie dust of Disney.